How do geopathic stress and electromagnetic (EMF) pollution affect us? 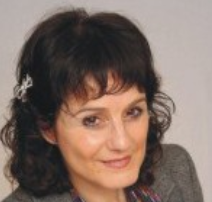 Geopathic stress and EMF pollution have been found to be a common factor in many serious and long standing illnesses such as cancer, ME, sleep problems, cot deaths, fatigue, difficulty conceiving, learning difficulties and psychological conditions. 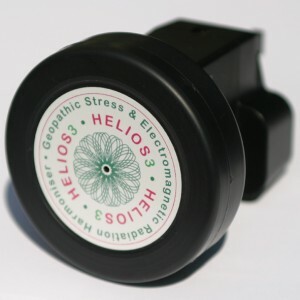 Helios 3 is a high tech device that simulates the Earth’s beneficial frequency allowing our bodies to tune in to its rhythm. In this way we protect ourselves from the negative impact of geopathic stress and EMF pollution. Once plugged in it will start to rebalance your energy and the energy of your home. Just plug it into a socket (not on an extension lead) anywhere you feel it may be of most benefit to you. 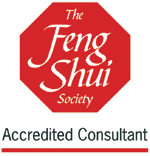 If you are not sure please contact your feng shui consultant or us. A 2-pin European model is also available. It’s very simple to use – just place it under the sheets and start experiencing amazing results. 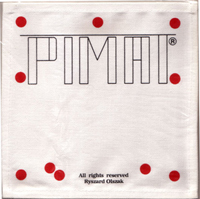 Pimat is a flat white cotton cloth 7 inches square, with a pattern of ten red dots printed on it. This pattern balances and recharges your energy field (the aura) while you sleep on it. It works regardless of your age, state of health or whether you believe in it or not. The Pimat was invented to produce, in two-dimensional form, a very coherent and organised healing energy of the pyramids. The miraculous powers of pyramids have been known, studied and research for centuries (in short, a pyramid is a fractal electric field / life force generator). 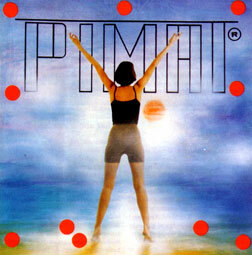 The name Pimat stands for ‘Pyramid MAT’.